Our environment can play a very important role when it comes to our mood. Sometimes life gets hard and it becomes difficult to see the light in the darkness around us. To feel better, having a positive mindset is very necessary, but also the objects and beings that surround us are critical too. Flowers and greenery can have a fundamental impact on our health, reducing stress and helping us find peace of mind. Multiple studies prove that flowers have a healing effect on those who receive them as a gift or who have them in their homes. People surrounded by flowers appear to be less agitated, anxious and depressed, and also they seem to have an increased life satisfaction overall. These cheerful and simple wildflowers can boost anyone’s mood almost instantly. Their bright and vibrant colours ranging from yellow and orange to red, white and different hues of pink. They bring us memories of long summer days filled with sunshine, outdoors time with loved ones, laughter, and joy. They symbolize purity, innocence, and cheerfulness. They have an extremely long vase life, which allows us to enjoy their cheerful beauty in our home for about 14 days. These modest yet gorgeous flowers are only available during Spring. The fact that they only bloom in this season, gives them the connection with welcoming warmth and new beginnings, which makes us appreciate them even more. Their simple and sweet feminine look is truly inspiring, and they are known to be able to brighten even the cloudiest of days. The most classic and beloved flower of all times, surrounded by symbolism and mythology for centuries. The ancient Greeks and Romans identified the rose with the goddesses of love, Aphrodite and Venus respectively. In the Tarot, the rose is considered a symbol of balance. It expresses promise, new beginnings, and hope. Their beauty and elegance are so attractive that roses are considered a favourite flower for weddings, as a gift for a special someone, and as a symbol of true love and friendship. They can also help us eliminate stress. As a study in the Journal of Physiological Anthropology found, office workers who looked at roses felt more relaxed and comfortable in their work environment. These romantic blooms have a soothing and cheering effect. Commonly found in homes with gardens, they are an easy plant to grow and care for, and the act of gardening and seeing the flowers bloom has a therapeutic effect on people. But it isn’t just the gardening itself. When hydrangeas are sent in a bouquet as a gift to a loved one, they also create a cheering and relaxing atmosphere around them. 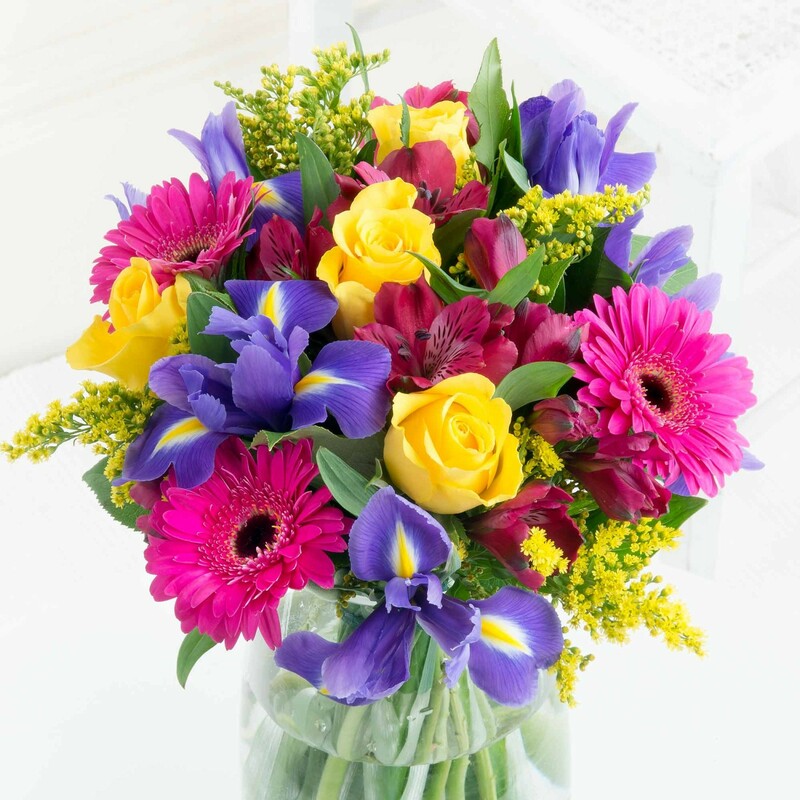 Their elegance and beauty bring a pop of cheer into your home, especially on dark winter days, with their vibrant colours and year-round availability. They are known to increase positive energy around them, and to clean the air at night while we sleep. Recommended by those who practice Feng Shui: “An orchid placed strategically in the relationship area of the bedroom or on your nightstand will help to attract an honourable and honest romantic partner”. They are extremely fragrant bell-shaped little flowers, perennial and easy to care for. They are known to boost the mood of those around them due to their sweet and unforgettable perfume. In fact, major fragrance companies have created perfumes imitating the scent of this bloom. We urge everyone to enjoy their scent and appearance only. Please do not ingest these flowers as they can be poisonous. Flowers not only have the power of cheering us up when we are feeling down, but they also have many other properties such as helping us get a proper night of sleep, boosting our creativity, increasing our productivity, making our tolerance to pain higher, boosting our health, and even improving our attention span. Park and Mattson conducted a study in 2008 and found that patients in hospital rooms decorated with flowers and potted plants needed less postoperative pain medication, had lower systolic blood pressure and pulse rates, were less anxious and tired, and generally were in a more positive psychological state than patients in rooms without flowers. Another recent scientific study conducted at Texas A&M University finds that nature can also hold the secret to business success. The research demonstrates that workers’ idea generation, creative performance and problem-solving skills improve substantially in workplace environments that include flowers and plants. Classrooms with flowers and plants in it have a bigger attendance span, and students show more creativity, free-thinking skills, and overall satisfaction. Fill your home with blooms to keep your mind distracted from the day-to-day stress of life. Place them in your bedroom to wake up to a soothing and cheering view every morning, or to help you get a nice and relaxing night of sleep (choose flowers like Lavender, Jasmine or Gardenia. Their scents have a relaxing and sedative power to help you sleep). Flowers also help you create intimate connections and strengthen bonds with family and friends, which, ultimately, leads to a happier, more fulfilled life. I am interested in Tech, Photography, Marketing and many more things. Are You Running Out of Solutions for Career Burnout?